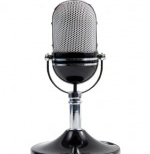 The following audiocasts contain interviews and broadcasts from the founders of Chanson Water USA, water experts and other natural health experts. Learn more about ionized alkaline water and other natural health remedies by listening below. Ionized water, water filtration, benefits of drinking Chanson water, etc. The benefits and production of alkaline ionized water and the machines involved. How to avoid chromium (6) and other contaminants in your water supply; renewing the water within your body. Getting the best water through filtration and alteration, and bringing “dead water” to life. Health issues with bottled water, your shower water, and a better alternative; SkinBalance acid water use on skin issues. Listen to Part 1 of this Podcast. Listen to Part 2 of this Podcast. The testimonials, videos, articles and comments herein are the expressed opinions and experiences of the individual persons shared under their 1st amendment right of free speech. The information on this website has not been reviewed by the FDA. Products offered for sale herein are not intended to treat, cure or prevent any disease or health condition. No medical claims are being made. Click here to see why we must say that.